Coulda shoulda woulda Rippah. That was Jimmy Decotis during Monster Energy Supercross in 2017, as the GEICO Honda mounted rider would routinely pull starts, lead laps, battle for his first-ever podium, only to fade out of the top three through much of the 250SX West Region. Turns out something was very wrong with the popular New Englander, and as he started to feel worse and worse—and develop some strange symptoms—he knew he needed to get a real diagnosis. Jimmy dropped out of Lucas Oil Pro Motocross to do some exploring, and found out he had Lyme disease. Since then, it’s been a rough road back, but he’s feeling healthy again and has a new ride with Autotrader.com/Yoshimura Suzuki (JGR). 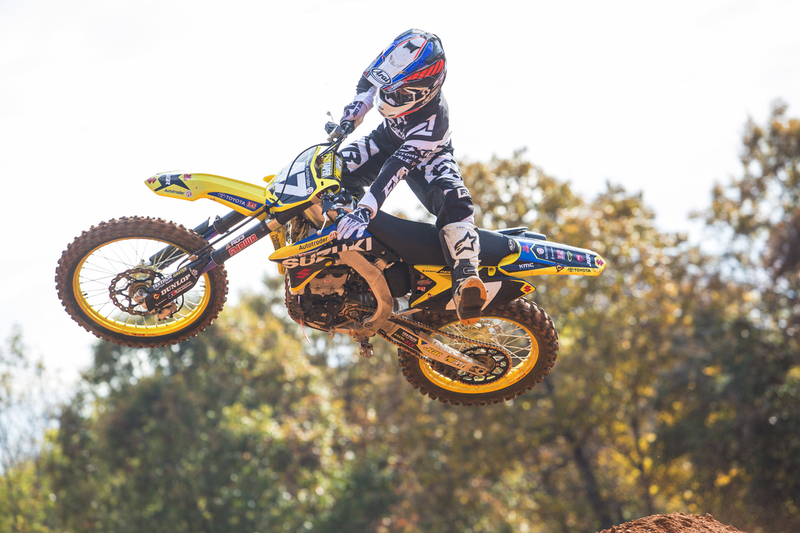 Last week was his first week testing at JGR’s SX track in Mooresville, North Carolina, and where caught up with him for an update. 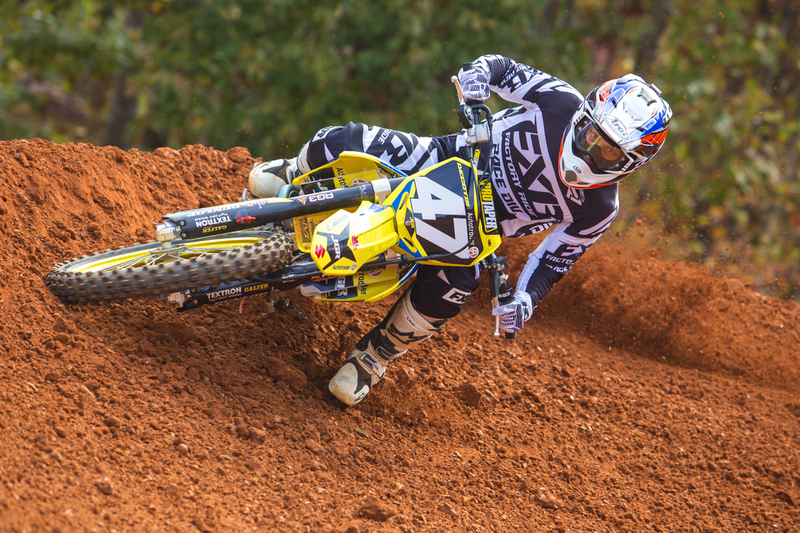 Racer X: Found yourself good gig here? Jimmy Decotis: I have! I’m stoked. Everyone here gets along good, I mean, we have grumpy Phil [Nicoletti] here of course, but we all know how to work with Phil, so it keeps the rest of us positive. The crew here is great and J-Bone [team manager Jeremy Albrecht] is taking care of me so everything is going good. I don’t really think you can beat North Carolina compared to California. I’m planning on moving here full-time now that I’m signed. Going to go to California for a few weeks to gather my life together out there, basically get all my stuff, and then head back here in a few weeks. There’s like all this momentum going on here. [Justin] Hill is here now, you’re moving here, and you’ve got Cooper Webb’s whole group not too far away. You’re even staying at Cooper’s house this week? Yeah I am, and it’s going to be really good this summer with Coop and all those guys here, too. We’ll have his track, the JGR track, Club MX, South of the Border, this is really turning into the hot bed of moto these days. There are so many advantages here compared to California. It’s just a different environment. It’s really laid back, but this team, everyone is here to do their job and put the work in, but we’re not too super serious. We’re all here to make sure we’re putting the work in but also making sure we’re enjoying it, too. You just mentioned that to me before this interview. There’s a bunch of people hanging around the track today, and you say that never happens at the factory test tracks in Corona. No, you don’t see 10-15 people hanging out watching at the California test tracks. Everything is secretive and everyone is uptight. This fits me. My whole life, this is the kind of person I have been. I’ve worked hard but I also like to be happy—you know me, Weege, I like to have fun. This is my kind of environment and I hope to be here for many years to come. I know you wanted that podium in supercross, and you didn’t get it, but still this was by far the best season in supercross you’ve had. Did that help you negotiate to get this ride? I think so. Like you said, I didn’t get that podium, but there were so many times where I was just a lap away or two laps away. Just stupid stuff cost me to not get it. It’s frustrating because I’ll still have that monkey on my back coming into the season, to get that podium, but I’ve got the heat race win and I know I can get the podium so I’m not going to stress on it too much. I’m happy and as long as a do my work and stick to Swanny’s [Gareth Swanepoel] program with Seth Rarick doing the training with me, and getting the best guy in the class right here to ride with every day in Justin Hill, as long as I’m close to Justin when East Region starts, I know I’ll be ready. Ah, so you’re further tied into this North Carolina group, with Swanny. Yeah yeah. I’m virtual with Swanny right now until I get back to Cali next week. But I actually work with Seth Rarick. Seth’s under Swanny, and Seth trains me, Bradley Taft and Brandon Hartranft. It’s really cool. Talk about this Lyme disease situation. This turned out to be a pretty serious deal. Yeah. I was feeling terrible. A lot of people couldn’t even believe I did those few outdoors that I did. I literally told the GEICO team when we got to Glen Helen for the national “Look guys, I shouldn’t even be here.” But I didn’t know what it was at the time, so it was frustrating to just have to take a seat and not race. Until I got the diagnosis and found out I had Lyme, I didn’t know what was wrong. I remember Glen Helen, I came off the track, it was only 70 degrees out. It wasn’t hot. I was blue in the face. I looked like I had just run a marathon. I know how my body is and I shouldn’t have felt like that. It’s been hell. This summer was ten times harder than racing a dirt bike. When I went through from my body’s reaction to killing the Lyme, with the medicine I was on, the diet change … I love subs, I love cheese, I love gluten, and now I have to cut all that out. Dude, you’re from the Northeast! You can’t cut out sub sandwiches and cheese! I know! I know! Steak and cheese, I miss that stuff. But I had to do a lot of things to change myself and be here and be on this team. I’m happy I did it, it was frustrating at times. Swanny set me up with Dr. King, and he really saved me. He showed me all these things I could do, and without him I don’t think I’d have gotten to where I am now and be ready for supercross. 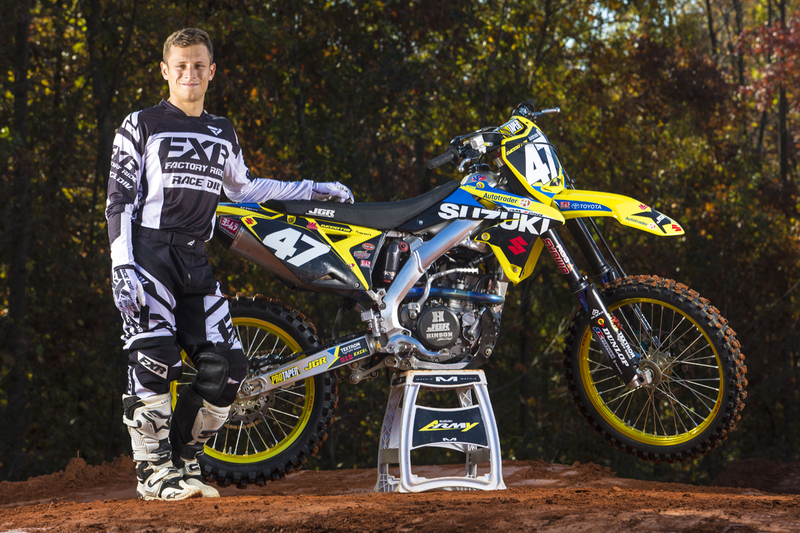 I think with [Ken] Roczen’s arm, I felt like I was in the same boat as him. Some people were like “Jimmy’s got Lyme, he’s done.” There are people who can’t even get out of bed for years. I’m just happy that I made progress and I feel better than I was last year. That’s how I know I was really struggling last year. Do you think it messed with you even in supercross? Did you have it that early? Absolutely. A lot of the Lyme symptoms are just always being run down, never being excited, not being happy. I had a lot of mental things last year where I was just going through the motions. Me and Jamie, we would go on dates and I wasn’t even talking to her. I was just sitting there sad for like no reason! I had a good ride and I was making good money, there was no reason for me to be feeling this way. My family started noticing it. I was like, “I understand this sport is hard but I shouldn’t come home from riding and just sit on the couch all day.” Once I saw my personal relationships and my riding going downhill, I knew something was wrong. If it effects your mood, you probably had no idea it was actually a physical thing. Yeah I had no idea. I thought I was just burned out. I was like, “Maybe I just don’t want to ride dirt bikes anymore.” Now I have like a new lease on life. Things that used to bring me into the negative don’t bring me down anymore. If someone is beating me at the track, I used to get some mad. Now that doesn’t bring me down, I just keep working. I just have a new lease on life and the best thing I can do is try to be the face for people with Lyme disease and show them that you can even do one of the most physically demanding sports in the world. I want to do it for myself but also show people what they can do. At the San Diego Supercross, you took off and had this huge lead for the first 10 minutes or so. Then you faded and we all tried to figure it out. I was thinking, “Oh maybe he just put in a hard sprint and just tensed up leading.” And some people probably just figured you weren’t in shape. No. I knew I should be able to do 15 minutes no problem. Something was wrong but I didn’t know what it was at the time. Yeah, you’ve been pretty outward and open with some Lyme posts on social media. But you’ve said that’s not for you, that’s for others? Yeah, not for me and not even for motocross people. It’s to show people with Lyme what’s possible. I mean, even Phil is like, “If you post one more freaking thing about Lyme! I don’t care!” But he doesn’t understand. He’s never had it. He doesn’t know what it’s like to be there in bed feeling horrible like “Am I gonna die?” It’s the great imitator, they say. It mimics so many other diseases and everything so it’s really hard to figure out what it is. I’m just blessed that I got the correct doctor and got the correct diagnosis. Because there are people who have been living with it for years. They have no idea what’s wrong with them. Doctors will just say they’re depressed. You shouldn’t just be depressed for no reason. If someone close to you dies, yeah, then you can be depressed. But for me, everything was going good, but I was depressed. I wasn’t clear headed, I had a fog. Now that it’s all gone away, I feel like a new guy. Probably can’t wait to go racing again?